Before you lace up your shoes for your first run of 2017, kick back by the fire and get caught up on all the need-to-know running advice we had on tap in 2016. From how to find your perfect run cadence to the most common mistakes runners make during marathon training, we’ve covered everything you need in order to stay fresh, fast and injury-free. 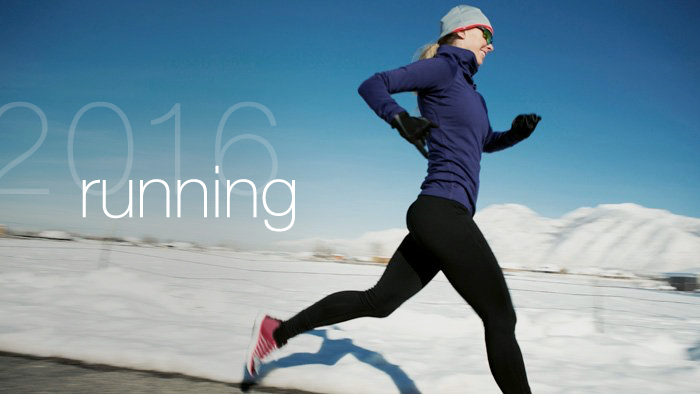 Running is one of the most demanding things you can ask your body to do on a regular basis. So it stands to reason that any runner will deal with setbacks such as injury or illness at some point during their training. Once you’ve recovered, follow these three steps to get you back in top running form and on your way to accomplishing your racing and fitness goals. The perfect run cadence is a hotly contested topic for coaches and athletes. What your magic number is will be entirely unique to your physiology and fitness—but finding that magic number is vitally important to improving your speed, efficiency and even lowering your risk of injury. With the addition of run power meters, athletes and coaches are quickly learning how beneficial knowing your run power output can be to dialing in your pacing and overall efficiency. This how-to guide highlights everything you need to know about run FTP, setting your zones, and how to use it in your daily training. Anyone who has ever trained for a half or full marathon has likely made one (or more!) of these mistakes. All the more reason to go over the list and make sure you don’t make any of them again in 2017. With a few solid run power meters on the market and a slew of professional athletes starting to use them in training and racing, it’s time you learn how these devices work and what they can do for your performance. Gaining rotational strength in your hips and shoulders is a great way to gain explosive strength and speed as a runner. These strength moves will help get you there. If you’ve got Boston on the brain or a new marathon PR on your list of things to do in 2017, then follow this guide for proper race preparation, training and mental focus. Runners are always looking for the newest training edge: be it strength training or speed work. But one simple shift—moving out your training cycle beyond the normal seven-day window—can help improve your recovery, give you more flexibility in your schedule, and help keep your training load in check. Genetic testing can provide valuable clues about your injury risk, performance ability and even your longevity as an athlete. Here is a look at what the genetic testing science can and can’t do for your fitness goals. Anyone who has ever slogged through a few 20-mile training runs knows that marathon training can be a true test of your willpower. But studies have shown that harnessing your power of self belief, especially during training, can help you achieve your marathon goals. Still looking for more wit and wisdom to fuel your 2017 training? Check back each day this week for the rest of our 2016 year-in-review series with our top-10 articles about multisport, cycling, strength and nutrition.